When buying a Home in Metro Atlanta and completing a HUD 203(k) Renovation Loan Program is generally like any other mortgage program, there are guidelines and steps to follow to complete the loan process. The only difference between a standard conventional loan and a HUD 203(k) loan is that the HUD 203(K) Loan Program has a renovation component which increases the overall loan amount and requires additional documentation. If you follow these steps it will make the loan and renovation process less stressful and smoother. Find a mortgage lender that can complete and has completed the Hud 203(k) is essential. Not all lenders can or know how to complete this type of loan. The best ways to find the required lender is to ask mortgage lenders you know, your Realtor®, or go to HUD.gov and find a lender in your area. This is the fun part. Go look at houses with you Realtor® and find one you like. 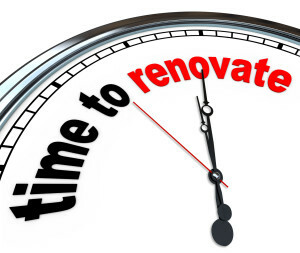 • The expected after renovation market value of the property after completion of the work. price, plus the cost of improvements – no action on the property should take place. Basically move on and find another home. This is an estimate of all work that needs to be completed and the costs of that work. This is done by a certified HUD contractor. The homebuyer and contractor (where applicable) meet with the fee consultant to ensure the architectural exhibits are deemed acceptable and all program requirements have been properly shown on the exhibits. Depending on the lender, their guidelines, and scope of work, the might be one appraisal or two. The appraiser will appraise for after-renovation value and if possibly As-Is value. Once the appraisal in completed, the lender will review the appraisal and application to determine what the maximum mortgage amount for the property will be. establishes the maximum mortgage amount for the property. o Any other source documents needed to establish the ability of the borrower to repay the mortgage. If the application and all documentation is found acceptable, the commitment letter is issued to the borrower. 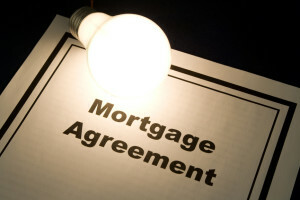 It states the maximum mortgage amount that HUD will insure for the borrower and the property. • The Rehabilitation Loan Agreement- This agreement is signed by the borrow and lender and established the conditions that the lender will release funds from the Rehabilitation Escrow Account. • Following closing, the borrower makes mortgage payments on the entire amount for the mortgage and Rehabilitation Escrow Account even though it has not yet been disbursed. As the construction progressed funds will be released in the form of a draw. The maximum number of draws for this loan type is five the last one being the final inspection. The funds requested for each draw will only be released after the work has been inspected a approved Hud inspector. The inspector will review the Draw Request (HUD Form-9746-A) that is prepared by the borrower and contractor. When all work has been completed, the buyer will provide a letter stating all work is complete and ready for a final inspection. If the HUD approved inspector agree the final draw is released minus a required 10 percent holdback. Any unused funds the lender must apply it to the principle of the loan. When buying a home in Metro Atlanta think about the HUD 203(k) Renovation Loan program as an option to get a great home and renovate it to your needs.